Treat the audiophile in your life! 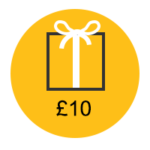 Gift Cards can be used as credit for online bookings and orders at The Noisefloor, including sessions, Pay As You Go credit and On-demand bookings. Gift Cards come in the form of a personalised, printable PDF voucher – click on the value you require below and fill out the form. If you would like the Gift Card to be sent directly to the intended recipient, enter their email address. If you’d like the Gift Card sent to yourself, enter your email address. 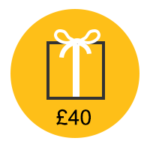 If you leave the form blank the Gift Card will be sent to whatever email address you enter at checkout and no personalisation will appear on the PDF voucher.